Why not use Rx meds? This website supports a crowd-funding campaign to fund a pilot study that should lead to a full clinical trial of the efficacy of various strains of cannabis to treat Attention Deficit Hyperactivity Disorder (ADHD). 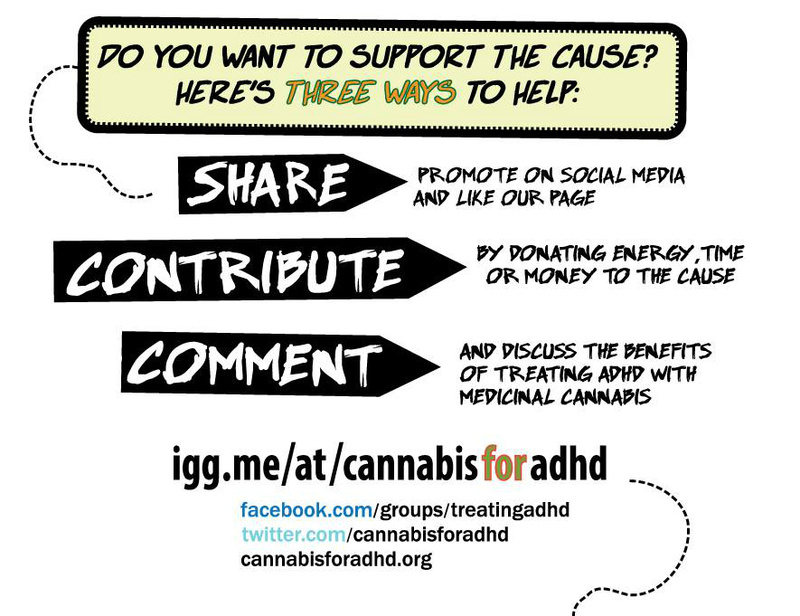 You can join a discussion about treating ADHD using cannabis in our FaceBook group. Please also visit and like our FaceBook page. Please use the menu in the top right to access more info. Parental supervision is recommended when viewing this website. Visit our legal disclaimer for more information. All rights reserved.